Best Aquarium Filter: To Keep Your Fishes and The Fish Bowl Neat and Clean! If you have an aquarium or a backyard pond/tank in the house, an aquarium filter is essential equipment. It is very important to keep the system tidy and clean for proper functioning to keep the fish in the best of health. Aquarium filters are equipment to filter the physical and soluble chemical wastes to maintain a clean environment inside. Different aquarium filters are available in the market. The comparison and discussion given below will help you to choose the best aquarium filter for your requirement. An aquarium filter aerates the water inside an aquarium by removing unwanted particles and chemicals to make a clean habitat for the fishes. Waste products include animal waste, decaying components, and uneaten food, which can generate nitrates and ammonia in the water. These, not only spoil the ecosystem of the aquarium but are also harmful to the fishes. Using aquarium filters makes the water clean and rich in oxygen for the fishes to breathe and thrive. 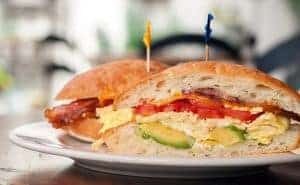 There are many options available online, but some of the best ones are available on Amazon with customer ratings and reviews, which helps to facilitate your decision. Users have shared both good and not-so-good reviews based on their usage and experiences. is mostly done by sponge and under-gravel filters, which helps beneficial bacteria to thrive in the aquarium, which converts ammonia and nitrate to less harmful products. uses a synthetic material with foam and floss, which sieves to capture the floating solid particles and removes them from the water. uses activated carbons and resin, which attracts and pulls the chemical wastes to the surface by the process of adsorption, which can be easily removed from there. like Hang-on-the-back, Canister, and Wet/Dry Filters. include Corner Box and Sponge Filters, and Under-Gravel Filter Trays. The volume of the tank is an important factor. Larger tanks are best cleaned with external filters, and they may require more than one filter. People, who don’t want to clean their tanks too often can opt for an external filter, while internal ones need more frequent maintenance. The price is also a major factor, considering performance and maintenance. External filters like Canister Filters have a high level of performance, but they are expensive. Internal filters are cheaper, but they are not suitable for larger tanks. Include the type of pets like fishes or turtle; or the number of pets inside the tank. One more factor can be to whom filters are accessible and where they need to be fitted. Here is a basic comparison of the 3 best aquarium filters in the market. 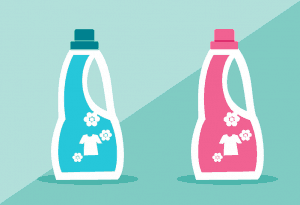 After comparing and contrasting, let’s take a look at each of the products in details from different aspects. AquaClear Power Filter is recommended for relatively smaller ponds and if you are looking for an effective biological filtration as well. It is a unique aquarium filter with patented re-filtration in the Hang-on filter category. It draws water from the aquarium via a U-tube and sends out the impeller assembly. The water goes through filter inserts, which removes the debris and waste products. The flow control reduces the flow up to 50% without hampering the functioning. When the flow rate reduces, around 50% of the water inside is processed multiple times. Hence, it gives a clearer and healthier water. It has an exclusive Cycle Guard System, which includes the BioMax Ceramic media insert. This helps to ensure that all filtration requirements are fulfilled by providing three distinct filter media. The AquaClear provides optimal mechanical and chemical filtering. Since only one of the three filtering components is changed at a time, it ensures that the beneficial bacteria are kept intact for a better process, unlike the cartridge system, where replacing the cartridge means getting rid of the beneficial bacteria as well, which again forms after weeks. The filter needs to be cleaned every two weeks. The remaining water in the filter case needs to be thrown out, after removing the case. The debris from the case and impeller assembly needs to be cleaned with lukewarm water. The U-shaped intake tube and the extensions need to be cleaned with filter stem brush to get rid of the deposits. Then, the filter needs to be re-assembled and fitted with requisite media. Finally, it needs to be fitted with the tip kept a little forward. Then, the aquarium water is poured into it. The media needs to be replaced as per schedule. 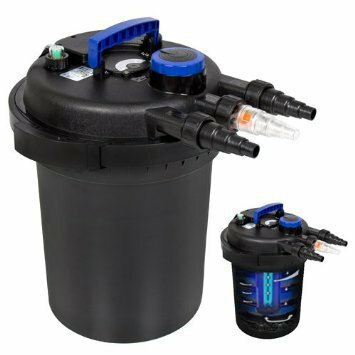 Best Choice Bio Filter is recommended for those who have a medium to large backyard pond, with different marine lives, and are looking to clean some of the thick algae deposits. It can cater to fishes that need a lot of fresh water. It works well for both ponds with heavy and normal fish loads. The UV sterilizer is one of the unique features, which provides better filtration. Users love it because it reduces the algae and the ammonia content in the pond. They opine that while buying this filter, not only the size of the pond needs to be considered, but also the rate of flow of the pump. To add to their benefits of this filter, all these user-friendly features are available at an affordable price. Let us look at it in detail. It is a product that is very easy to maintain and comes with following features. Hose adapters with an inlet as well as an outlet. 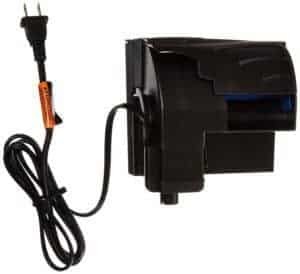 120V/60Hz and 15’Eletric cord with 4000 Gallons Per Hour, which is suitable for ponds with normal fish load and also for ponds with heavy fish load. It is one of the best products available in the market. It is quite user-friendly and a popular choice among user with a big backyard pond. The UV lamp indicator indicates when it needs cleaning. It has inlet and outlet hose adapters, Bio balls, and a multi-directional valve for cleaning. The filter sponges can be washed and easily re-installed. Users are happy with the easy-to-clean parts and recommend this as an effective aquarium filter. The product comes with all necessary accessories and ready to install parts, which makes it easy for a user to install. Aqueon QuiteFlow filter is suitable for those, who want much quieter equipment, probably for inside the house with the best of the features. This filter deploys a 4 stage filtration process and provides the best of biological, mechanical and chemical filtration. The internal pump helps to dampen noise, eliminate leaks and automatically starts up with the self-priming feature. There is no turning wheel part. This product has a high flow rate, which helps to provide more volumes of clearer water, rich in oxygen for active fish. It has a Bio-Pin Wet/Dry Technology, which ensures retention of beneficial bacteria. The basic QuiteFlow 10 can perform up to 100 Gallon Per Hour. The highest variety, QuiteFlow 55/75 is capable of 400 Gallons Per Hour. 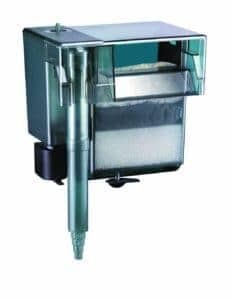 The cartridge needs to be replaced, which is mostly kept ready to be used and filter cartridges preassembled beforehand can be installed in seconds. It helps to keep the water in the aquarium clean and crystal-clear. Its dual-sided replaceable dense-floss cartridges are patented and can filter out more impurities with perfect ease. The package includes the filter pump and cartridges. Filter cartridges are also available separately. They are available in small to large sizes of 3, 6 and 12 packs. Different aquarium filters serve different requirements with varying efficiency. However, the one from Best Choice Products with the Bio filter with UV Sterilizer helps to maintain a clean habitat in your backyard pond. It works well for both heavy and light fish loads. The ready to install parts also makes it a highly recommended choice. 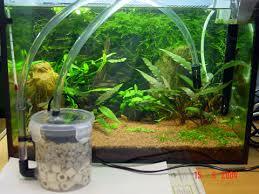 The better the aquarium filter, the easier it is for you to maintain your aquatic animals and their habitat. Modern-day aquarium filters come with advanced technology and easy operations. Considering all the above factors, your usage, requirement and personal preferences should be taken into account while purchasing an aquarium filter. The life of your aquatic beings is precious; this guide would help you to make an informed choice.